Picture above is from here. Please read the review. I am reading the winner of the Victorian Premier's Award for non-fiction. A much awarded book! It has generated many awards including the Prime Minister's Prize for Australian History. If you read nothing else this year, please read this. Bill Gammage says that, until we understand this country, we can't truly call ourselves Australians. Bill is a historian - but not only. He knows his plants, Australia's vegetation. In recent years, more has come to light on life and land before white settlement. The Australians before 1788 managed this continent in a unique way - a way of which we need to take note. Bill points out the connection of land management to The Dreaming, the belief system of the first Australians. Australia to-day is a an increasingly secular society. 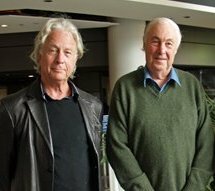 The New Atheism has provided an invigorating element to Aussie secularism. My view is that we cannot bring the fullest knowledge of our environment into view while ignoring the environmental spirituality which existed and continues to exist for Aboriginal Australians and the environmental spirituality which is part and parcel of the world's great religions. 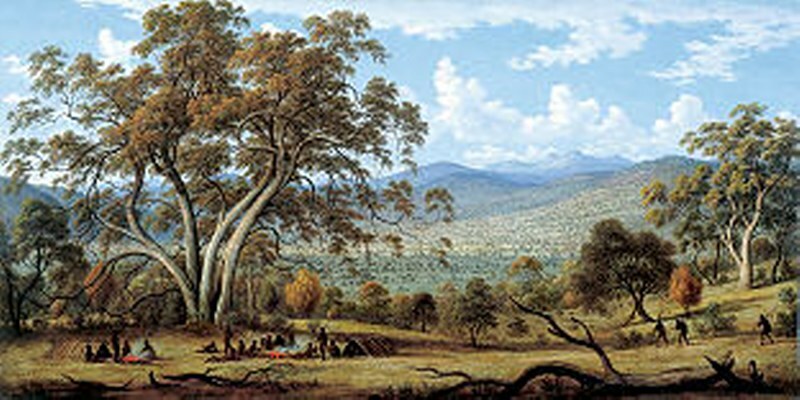 Just as the Australian landscape described by Gammage and managed so brilliantly by the pre-1788 inhabitants is layer upon layer - so is human knowledge and spirituality across the globe. It is layer upon layer - science, human impact, other species, human usage, spirituality, design, human management. I first got this book from my local public library. The hard copy. It is a long time since I have seen a more beautiful book. The size, the layout, the font, and - above all - the most magnificent colour plates an instance of which is above. I have bought the book for myself - but, as an OAP, could only afford the paperback. But it has the lovely colour plates. Become truly Australian. Begin to understand by reading The Biggest Estate on Earth. with the author of The Biggest Estate on Earth, Bill Gammage. Photo has been edited by Miss Eagle. It came from here. for helping us to know ourselves and our land. 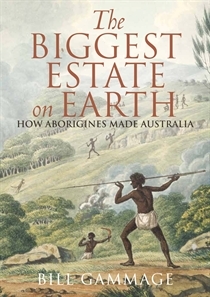 Bill Gammage, author of The Biggest Estate on Earth, historicises the notion of terra nullius, the land rights movement and Mabo, on the 20th anniversary of that landmark High Court decision.